Standard or Deluxe Interactive Storytimes with your favorite characters! 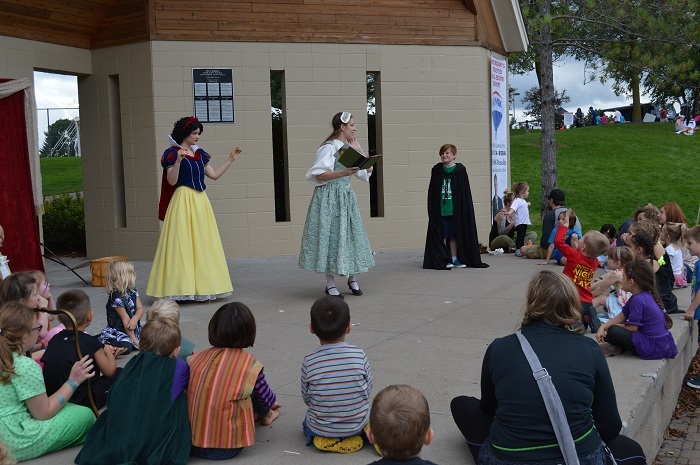 Standard interactive storytimes include one character, a costumed storyteller, and event assistant. 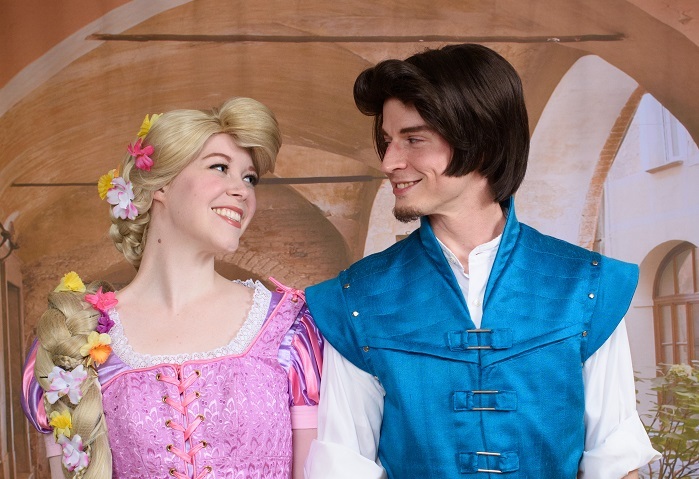 The package is 40 minutes long, with approximately 20 minutes of storytime and a 20 minute photo op/meet-and-greet. 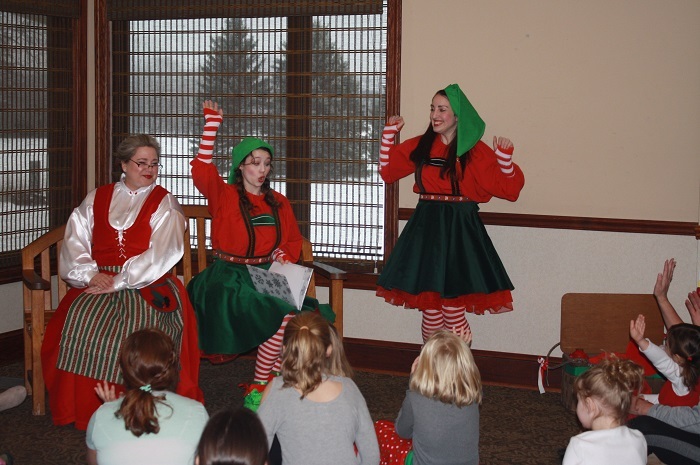 In addition to reading, storytime includes props and costumes, audience participation, and lots of interactive elements. 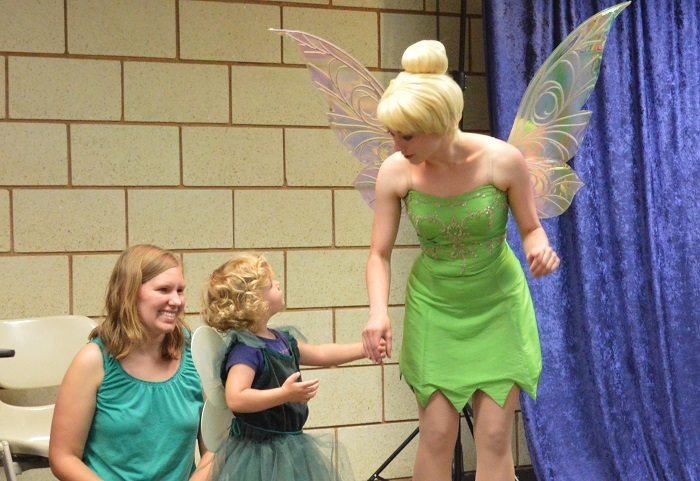 Public storytime events receive a media kit with photos and other promotional materials upon booking. Contact us for details on other available characters and pricing for Standard Storytimes. 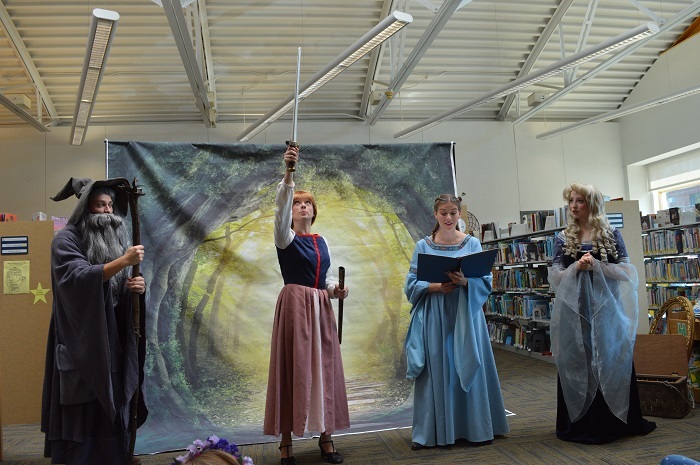 Deluxe interactive storytime packages include two or three characters, a costumed storyteller/Royal Historian, and a photo backdrop. 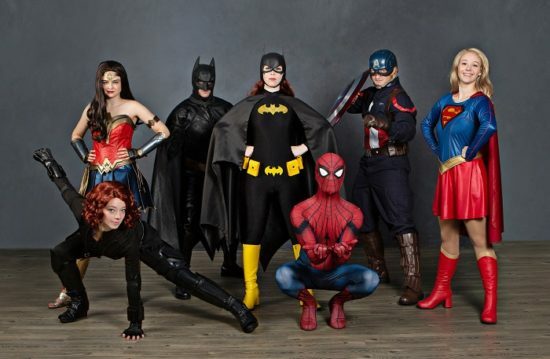 The package is an hour long, with approximately a half hour of storytime and half hour photo op/meet-and-greet. 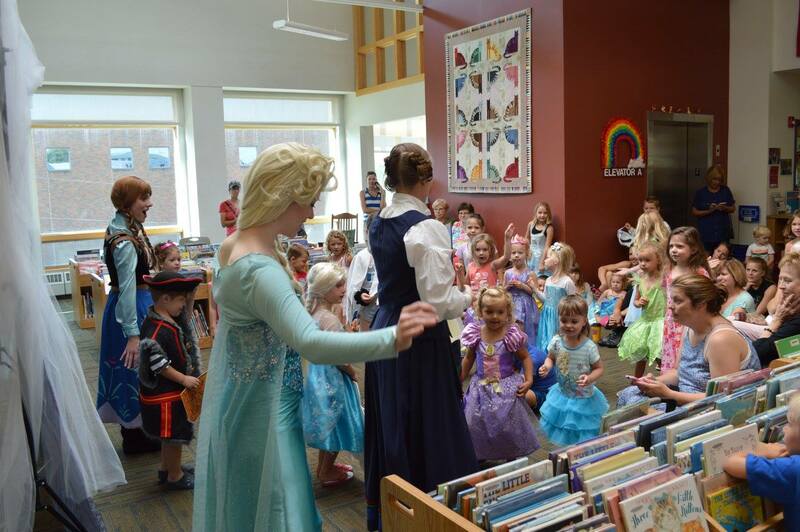 In addition to reading, storytime includes props and costumes, audience participation, and other interactive elements. 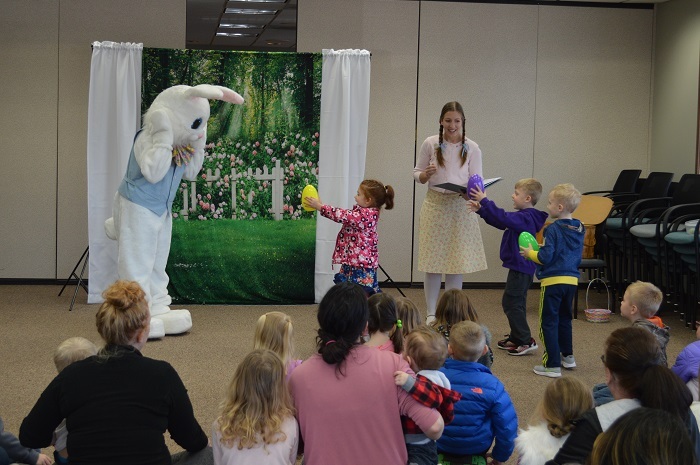 Public storytime events receive a media kit with photos and other promotional materials upon booking. Contact us for information on pricing and extra characters for Deluxe Storytimes. 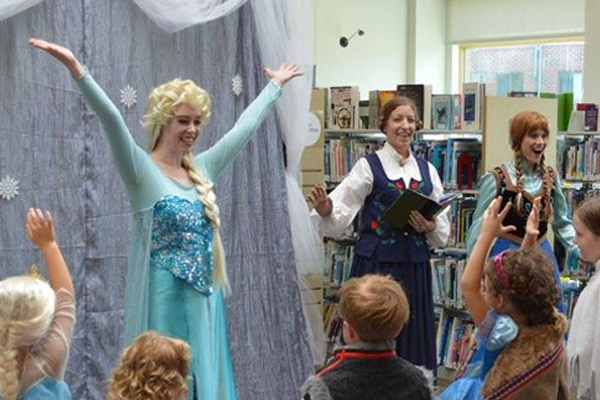 The Snow Queen and Snow Princess recount their icy adventures with help from the audience. 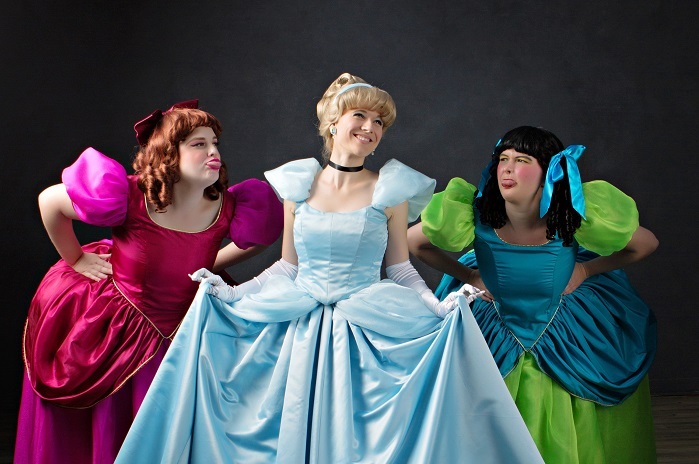 The Midnight Ball Princess and her Stepsisters recruit audience members to help retell classic and…not-so-classic stories from their kingdom. 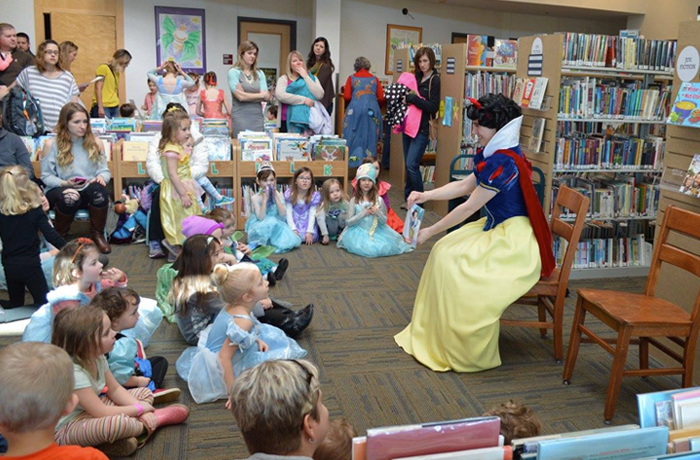 Choose two princesses* to join you for an interactive Royal Storytime! Favorite choices include Apple Princess, Storybook Princess, Warrior Princess, Highland Princess, Island Princess, Sapphire Princess, and Mermaid Princess. 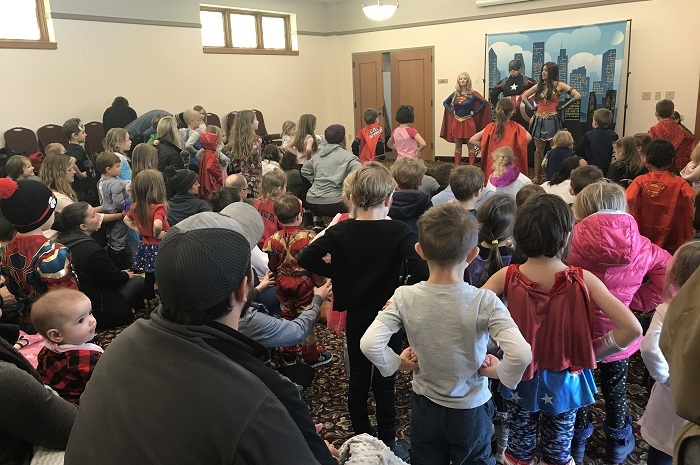 Join two superheroes of your choice (subject to availability) and an extra special narrator to save the day through the superpower of reading in this interactive storytime adventure. Fly into a classic Neverland adventure with Green Pixie, Hook-Handed Pirate, and an extra special narrator. 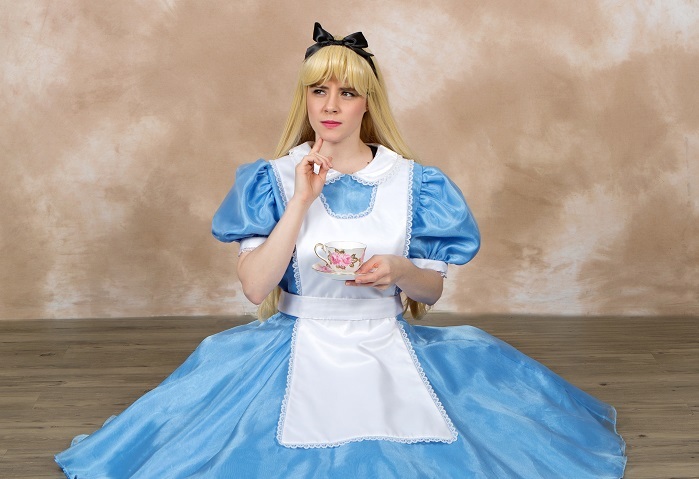 Journey through Wonderland with Tea Party Miss and meet its quirky inhabitants, including the Mad Hat Maker and Queen of Cards. Tower Princess and Thief Prince revisit their daring adventures with help from the audience. This fantasy genre-inspired Deluxe Interactive Storytime has audience members join the hero on a daring quest to to find the magical sword and save the kingdom, encountering quirky characters along the way. 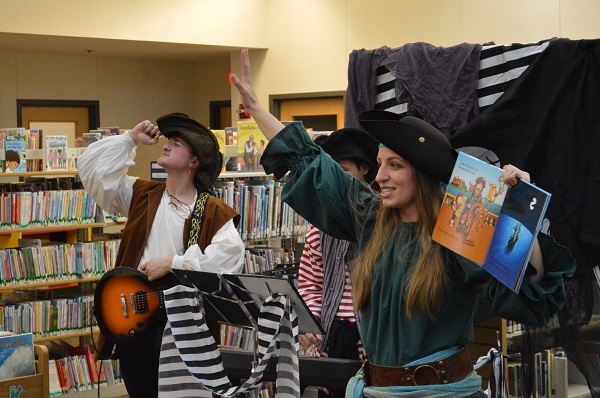 Sing, read, dance, and set sail with the hearty crew of the Pirate Band in this music-filled interactive storytime event. 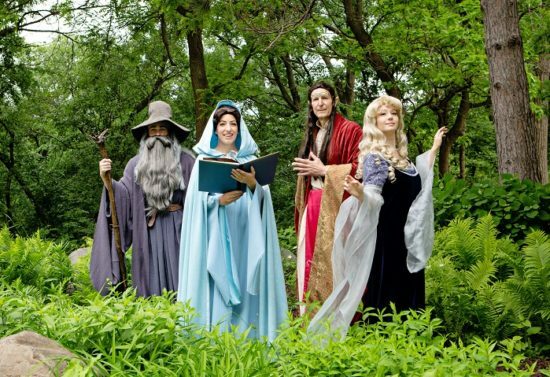 Join a heroic quest with resourceful heroes, elegant elves, and quirky spellcasters in this interactive storytime adventure. Recommended for preschool or early elementary groups. 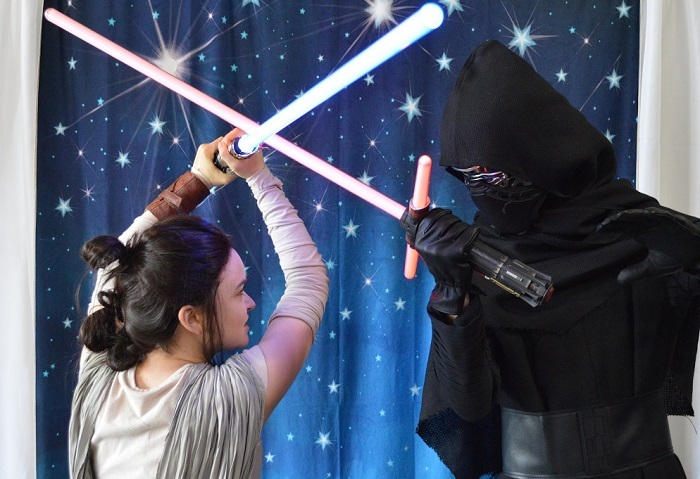 Join Galactic Legends as they recount out-of-this-world adventures with help from the audience. Found your occasion? Find a character! We’re happy to discuss ideas for your event as far in advance as you like. Since our characters are subject to availability, we recommend booking early. A non-refundable booking fee of approximately half your package value is required to schedule your event. The remainder is due by check or cash at the event or by credit two days before.